Ferrari templates now available. Note saved in 7z format. you will need the archiver from http://www.7-zip.org/ if you don't already have it to extract the files. templates were saved in photoshop v9.0. If 7z is a real pain for you let me know and I'll upload a rar or zip version. An FPS addon pack is now available for the base mod V2.03 and the 07 addon skinpack offering various options to improve your framerates. Instructions are included with the download. If you have a 256 Mb video card or less I would strongly recommend installing the low res skins as a minimum as it will give a good performance boost and you may be able to play the mod with texture detail on max, and car opponents and self with max setings. You don't need a mammoth of a PC to play this mod smoothly with these addons. Hopefully I have catered for lesser hardware too. 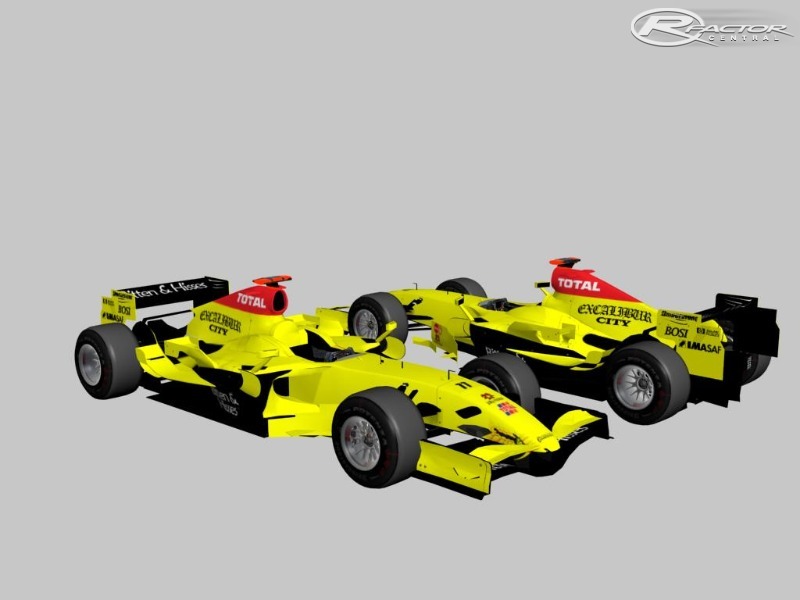 The full version of the rF1GP 07 skinpack addon is now available for download. You must download and install Version 2.03 of the base mod also, sorry for this inconvenience but some things had to be addressed to incorporate the skinpack so the main mod had to be updated, so v2.0 will not work properly with the skinpack addon, YOU MUST INSTALL v2.03. 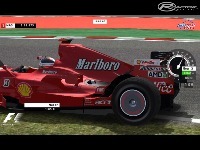 rF1GP Challenge is a Fantasy F1 modification for rfactor. Similar in concept to the FIS open wheel challenge, this modification offers an alternative. 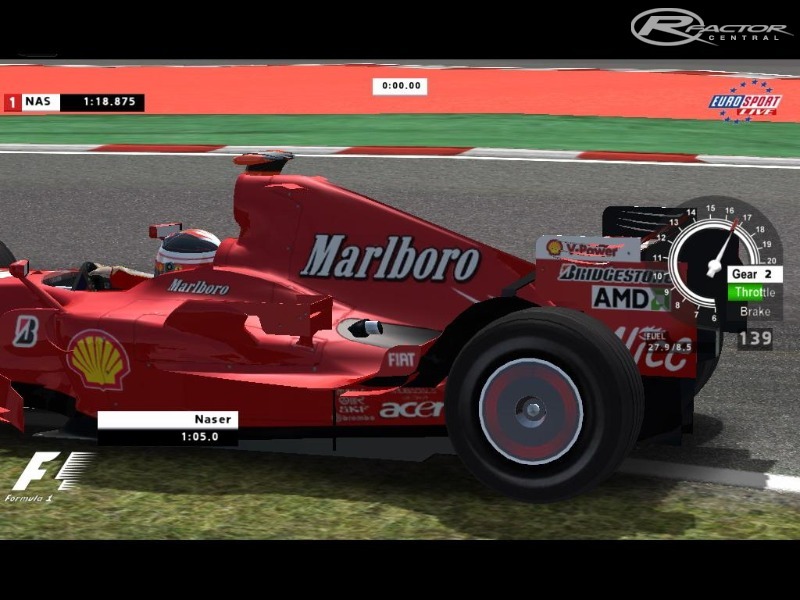 The latest version of rF1GP features four classes of car, with performance similar to that seen in the official F1 2006 Season. The project originally started out as single class vehicle modification and two cars; the latest version features four classes of car, each with their own physics and updated AI behaviour. 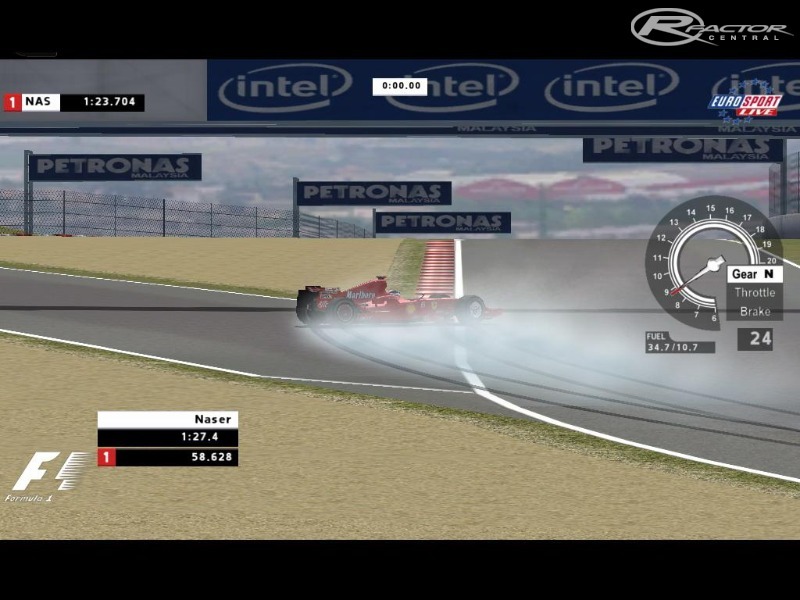 See Schumacher and Massa dominate, and Senna do well in a slow car in race, test day, and qualifying conditions. 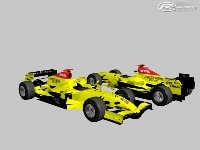 The full 2007 skinpack addon is now also available featuring an extension of the base classes in the 06 carset. 19000 rpm limit and a more restricted choice of tire compounds featuring Trotter2k painted 07 skins. Just in case you are wondering the Honda test livery was preferred over the earth livery but this skin will be added in due course as a download in the skins section. 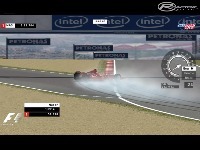 The 07 addon also features reasonably realistic Ai driver perfomances as with the base 06 mod, so a Mac is faster than a Spyker etc. If you are into pure cosmetics and want the exact 07 car shapes this mod may not be for you, this is NOT an 07 carset, but an F1 07 skinpack with physics addition to the 06 carset. If you want authentic carshapes CTDP05 and FSONE already cater for that, but hopefully some other features like AI and graphical performance makes up for that. If you like the bmwF1, FIS vehicles or F1 in general, I hope this mod can provide you with some fun racing, both offline and online. Hope you enjoy the improvements in the latest version and the Ferrari addition. There is more information, credits, and installation instructions in the readme. All relevant information is provided during installation. For V2.03 also a special thanks to Uff, Snoopy, and Kristian Stephens for additional feedback on the current version. 1. New tires and tire lods plus low res tire option for performance. 3. All tracks and vehicles compatible. 4. sounds, same as ISI bmw sounds. 5. Four types of vehicle, each with their own slightly different physics. In order of slowest to fastest rF1_a, rF1_b, rF1_c anf rF1_d. 7. Some small adjustment to wear rates, engine and brake parameters. 8. Improved Texture sharing, requiring less Video memory. all tracks and vehicle compatibilty, so now uses the default showroom. a small price for the increased functionality it provides. 13. Improved AI driving talent. option has therefore been removed. 16. Ai track learning files included for some tracks as well as AI setup. 18. Many Other Minor fixes. Changes for previous versions are included in the rF1changelog.txt found in the rfactor folder after installation. More detailed info provided with the installer and in the readme. I looked everywhere, but here above, I can't download the older versions of this mod, because they are on defuncted sites(Rapidshare,Megaupload). If someone send me all versions of this mod, I would be very grateful! =) Sorry for my bad English. Could anyone upload/send me all versions of this mod? I would really appreciate it! Could anyone give me a link to the Ferrari Template? Cause Megaupload is dead and the Template was uploaded there. Thanks for this great mod; top quality. But i'm wondering if is there a way to get the moving arms in cockpit view? There is but you'd have to do some editting of gen files, which would be lenghty to expain here, but on the top of tthe mod page where the contact are listed click on it, You will be directed to my website, use the first contact in the list and mail me if you like and I can give you the updated files if needed. I just have to say how fantastic rF1GP is. I use this more than anything else in rFactor. It would be great to see some more skins for it.